One of the main objectives of the Cultural Development and Exchange Fund (CDEF) is to provide support to contemporary artists in Vietnam. Funds are each year reserved a talent prize awarded an outstanding young Vietnamese artist within a specific arts sector. Some of the themes during the last few years have been contemporary dance, performance art and paintings. 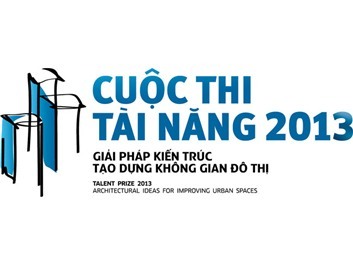 In 2013, the Talent Prize theme is “Architectural Ideas for Improving Urban Spaces” with inspiration from Danish architect Jan Gehl’s concepts of designing cities for people with emphasis on the space between buildings. The winner of the CDEF talent prize 2013 will get a study trip to Denmark with all expenses paid. THE DEALINE FOR ENTRIES IS AUGUST 16th! The CDEF will continue to support young and up-coming Vietnamese talents (under the age of 35) by organising talent competitions within different genres of art. Three talent competitions are planned during the five-year component phase. Fore more information about the CDEF Talent Prize 2013, visit Hanoi Grapevine’s previous post.